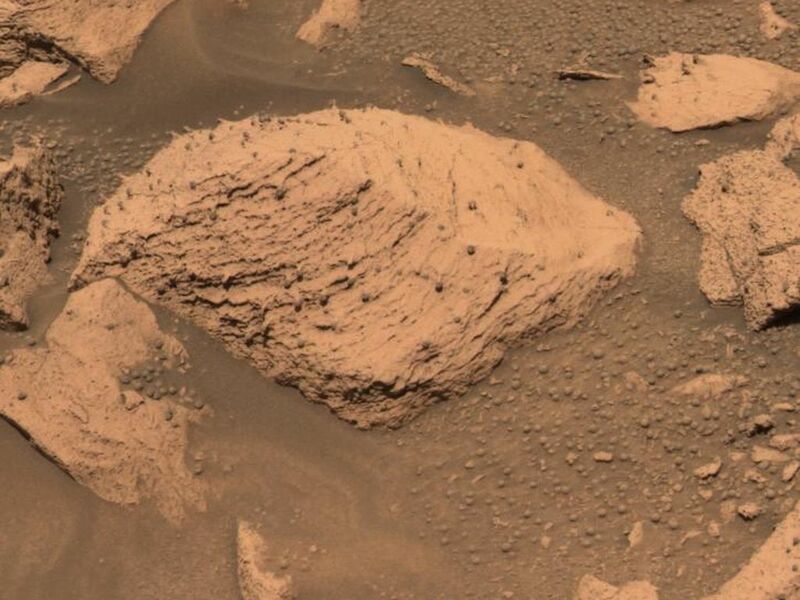 This approximate true-color image taken by the panoramic camera on the Mars Exploration Rover Opportunity shows the rock called "Pilbara" located in the small crater dubbed "Fram." 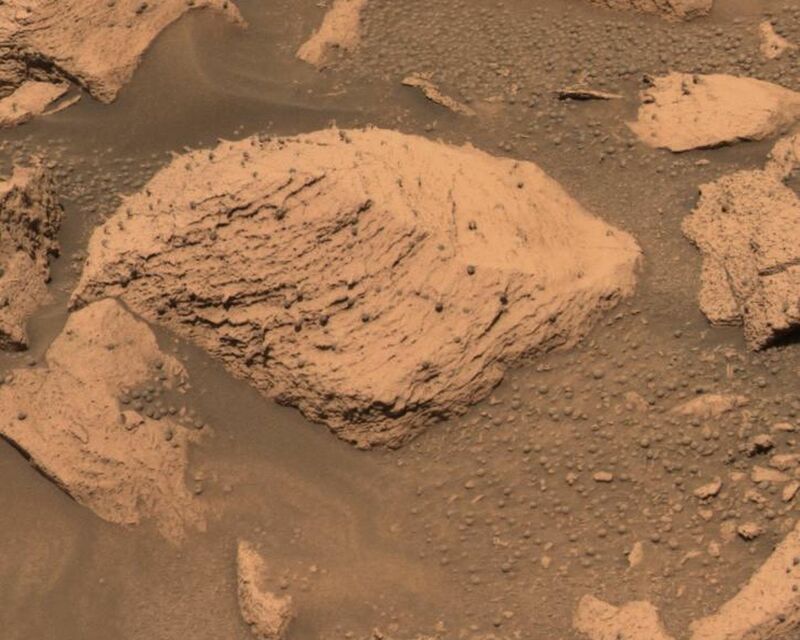 The rock appears to be dotted with the same "blueberries," or spherules, found at "Eagle Crater." 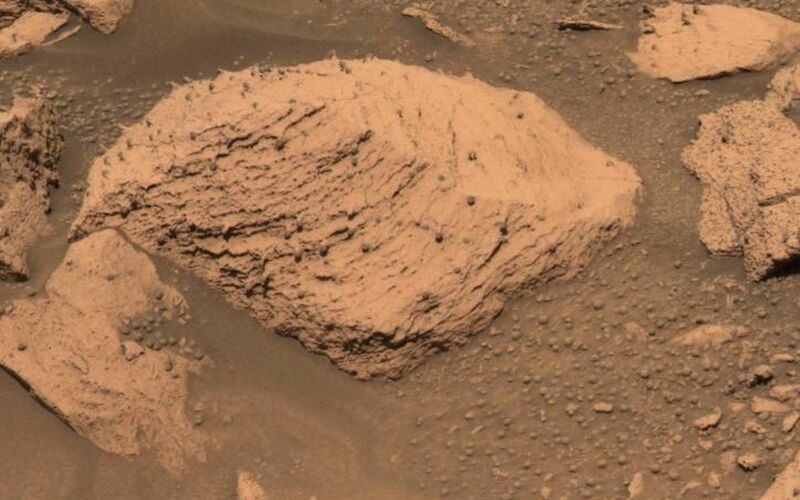 Spirit drilled into this rock with its rock abrasion tool. 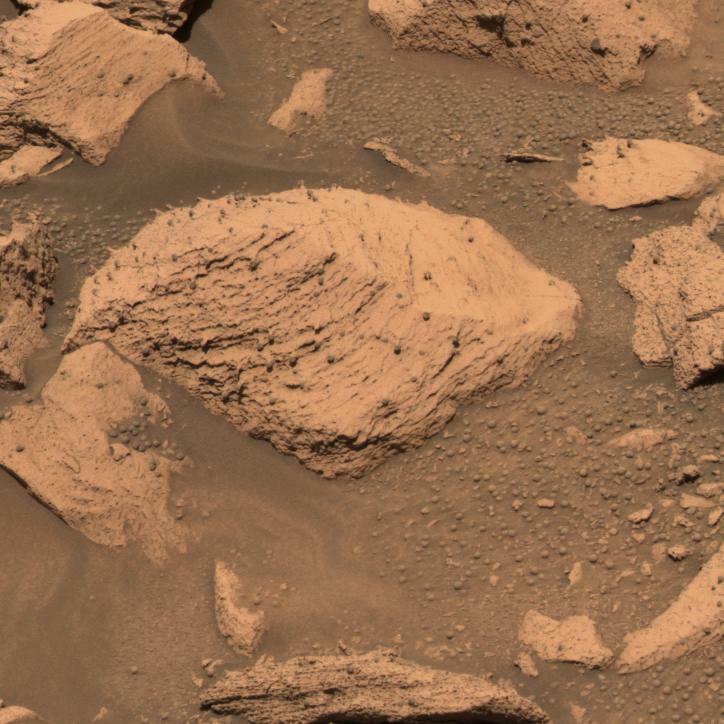 After analyzing the hole with the rover's scientific instruments, scientists concluded that Pilbara has a similar chemical make-up, and thus watery past, to rocks studied at Eagle Crater. This image was taken with the panoramic camera's 480-, 530- and 600-nanometer filters.